The first gold shipment of the year has arrived. Goldfinches are changing colors. This cowbird is all feathers and no cattle. The cardinal is the state bird of seven states: Illinois, Indiana, Kentucky, North Carolina, Ohio, Virginia and West Virginia. Even so, this female seems very nice. The head of the billing department at the Grackle Company. 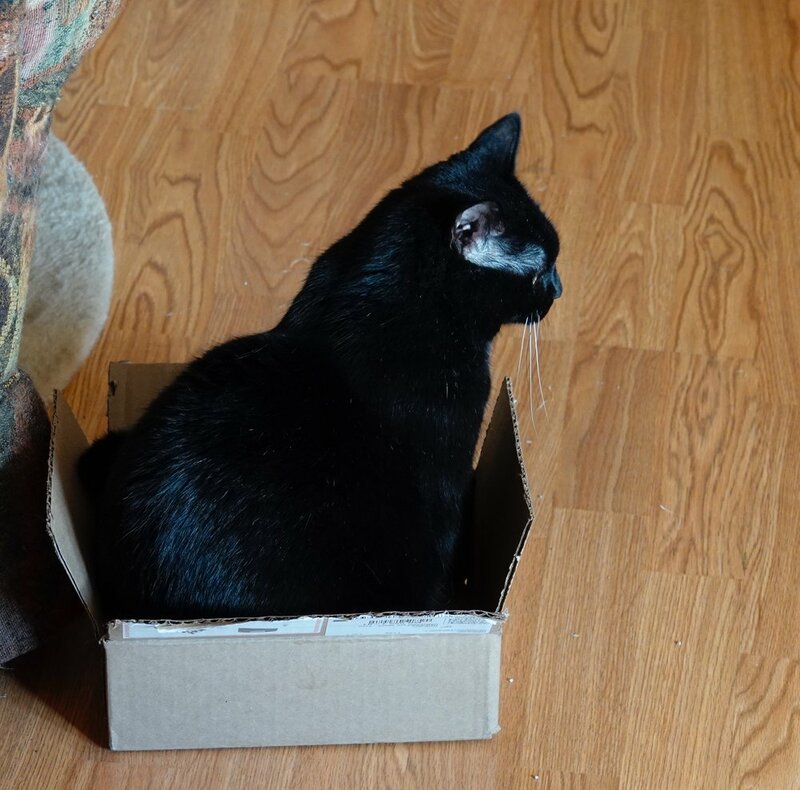 Purl, the cat who never leaves our house, is thinking of moving up a size in her cardboard box wear.